As the legion of home-schoolers rapidly grows, sensible government oversight seems to be a reasonable option — or it'll invite a firestorm of opposition. Home-schoolers are doing just fine. Leave them alone. That seems to be the resounding (and long-held) sentiment among many home-school advocates. And they certainly have a point: The widespread deficiencies of the one-size-fits-all public school system are becoming ever more apparent, some instructors are more often babysitter than teacher, and many home-educated students simply don&apos;t need traditional schools to join sports teams or social groups anymore. While many of the old arguments against home schooling have corroded (namely that certified teachers, in the majority of cases, can educate better than parents and that home-schooled children will grow up bewilderingly sheltered from the "real" world), there always seems to be new fronts in this distinctly American culture war. Culture war. That&apos;s really what homeschooling signifies circa 2009: a sound rejection of the splintering mainstream (and, perhaps now, the perceived heavy hand of an Obama nanny-state) out of deep ideological or personal convictions. Roughly half, and perhaps more, of these home-schoolers are drawn from an evangelical Christian subculture that&apos;s more than wary of encroaching secularism. For these parents, there&apos;s no more pronounced statement than this: "I&apos;ll educate my children however I please — and don&apos;t stand in my way." But as the practice rapidly grows — it has seen more than 74 percent increase since 1999 and estimates peg the current number of those home-schooled between 1.5 and 2 million students — it might be time to consider some sensible oversight. This, obviously, is much easier said than done. Any meaningful reform must walk an impossibly thin line between preserving a parent&apos;s right to individually tailor curriculum while still ensuring that their children meet certain universal standards of achievement. In a new article in the journal Theory and Research in Education, professor Robert Kunzman proposes a small step to improve homeschooling: Require states to mandate a basic skills test at key intervals to ensure that students are able to meet appropriate academic benchmarks in subjects such as math and reading. Unlike in the public system, many home-schoolers are not subjected to frequent assessment tests — however imperfect they may be — to ensure that students aren&apos;t left behind as grade levels progress. While many, perhaps even the majority, of home-schoolers have been shown in (perhaps controversial) studies to perform better than their public school counterparts, others can just as easily be left behind by poor teaching. Currently there are a variety of diagnostic tests that home-schoolers may take by choice, but roughly half of states do not require any periodic skills testing throughout these students&apos; formative educational years. In 10 states parents don&apos;t even have to even initiate contact with the government (another reason why it&apos;s hard to estimate how many children are actually being home-schooled). In theory, a required basic skills test could be a useful tool to help homeschooling parents understand which areas their child is excelling and struggling in and, if constructed properly, could illuminate where to focus additional attention. Above all, it&apos;s essential that the test be crafted by individual states (just as individual states create tests for public schools in compliance with federal testing mandates) and be viewed as "neutral" (evolutionary science off-limits?) by parents and students. Then perhaps local home-school organizations could work with the state to create a skills assessment that contains no ideological or moral "litmus test." The result, as Kunzman conceives it, "would involve computation skills (adding, subtracting, multiplication, division) and reading comprehension." In other words: a simple, rudimentary, noncontroversial test that even a serviceably educated student could pass. Even if a home-schooler fails this hypothetical assessment, Kunzman writes, "we should not simply conclude that this is a result of poor homeschooling and insist they attend public school." Indeed, that student might perform even worse in a traditional setting. "What chronic test failure should prompt," he explained, "is a closer look by the state into that particular home school context, the quality of instruction and the needs of the student before deciding how best to protect his or her educational interests." Obviously, this "closer look by the state" could easily become unnecessary bureaucratic meddling fraught with embarrassing examples of Orwellian over-regulation. 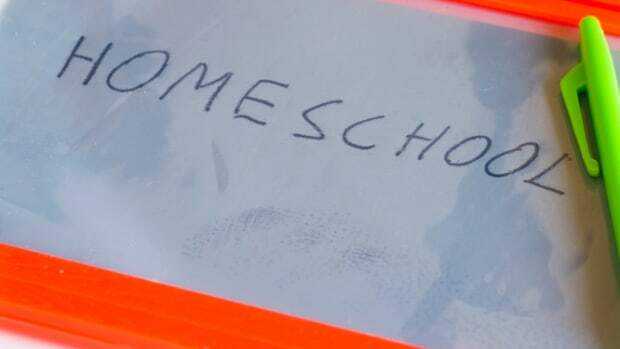 "It&apos;s very possible that some otherwise proficient home-schoolers may fail a &apos;mandated basic skills&apos; test simply because their child hasn&apos;t covered math or English in the time frame the government dictates," says Ian Slatter, spokesperson for the Home School Legal Defense Association (the largest national home school organization — and an irksomethorn for some homeschooling parents). "Over time, home-schoolers could indeed lose effective control over their curriculum because they would have to &apos;teach to the test.&apos;" And that would stamp out inspiring, if anecdotal, trajectories of home-schooled youths who ignored one skill for years before blossoming in it at age 16. If poorly executed, testing could also miss the point of a home-school education entirely. As one Virginia parent cited in Kunzman&apos;s research explained, "[home schooling is] not just schooling; it becomes your whole way of life." Parents will never be public school teachers — who, sometimes laughably, must feign impartiality in the classroom — instead they impart their bias to their children and encourage "morality-based" learning. It&apos;s not that these bristling parents dislike having to meet academic standards, it&apos;s that many want to pick and choose educational organizations and communities that have standards that are right for their children. If anything, many home-school parents can be characterized as hyper-vigilant with respect to their children&apos;s education (which, again, has pros and cons. But despite being much more attuned to their children&apos;s individual learning style, parents are usually not as well versed in liberal arts as many certified teachers and could struggle to teach a wide variety subjects. "It&apos;s important to have a loving parent," explained Randall Curren, editor of Theory and Research in Education and a leading educational philosopher at the University of Rochester, "but love and competence to teach a suitable range of academic subjects are not the same thing." Curren, while not endorsing Kunzman&apos;s proposal, reasoned that, "a return to standards for the qualifications of all educators (hence home educators) should be considered, in addition to periodic demonstrations of academic progress." But regulation, he did add, is "an imperfect art and these are complex matters." Complex indeed — legislatures have largely strayed from taking steps to regulate homeschooling. It just takes too much time and money that states, especially now, don&apos;t have. Or as Slatter put it: "Wouldn&apos;t the hundreds of millions of dollars in taxpayer resources needed to test over two million home-schooled students be better spent improving the education of millions of students who are being failed by the public school system?" True, but what happens when homeschooling grows to the point that it&apos;s no longer seen as boutique, alternative education — when the ideologically motivated 2 million becomes 5, even 10 million? Are money, time and effort for additional oversight necessary then? Reform advocates can only be certain of one thing: Now, and in the future, they&apos;ll receive a similar response — don&apos;t tread on me. A U.S. immigration court creates a new persecuted group in Europe: Christian home-schoolers. May I Refer to My Pharmacopeia During the Test? Can ADHD stimulants like Adderall be the answer for college students looking to increase academic performance? They think so. The efforts of one small but fierce lobbying group has thwarted even modest efforts to monitor homeschooled kids. Some fear lack of laws hides abuse or no teaching at all. Cristi Hegranes, a Miller-McCune Wonking Class Hero, expands the Global Press Institute to Kenya, where women will become the eyes and ears of the developing nation. A new analysis finds that parents are less likely to volunteer when their children attend larger schools. The 1 in 20 truly wretched schools in America need interventions, but the 'turnaround' effort has yet to prove itself the answer.